Prashanth joined Accel in 2008. He began investing in Indian technology start-ups (as early as in 2004) much before they acquired global attention. He started his investing career as co-founder of Erasmic, one of India’s first early stage funds. Prior to that, he founded two enterprises in the internet and multimedia publishing domains. As a key member of Accel's India team, he focuses on consumer Internet services, online marketplaces and SaaS. 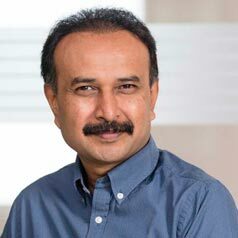 He has led investments in Agrostar, BlueStone, BookMyShow, Clevertap, FabHotels, Healthcare Magic, HolidayIQ, HolidayMe, HomeLane, PropTiger, Rentomojo, TeaBox, QwikCilver/GiftBig, Qikpod and other early-stage companies. Prashanth is from Bangalore. He holds a master's degree in computer science from the University of Delaware, and also an undergraduate degree in computer science.